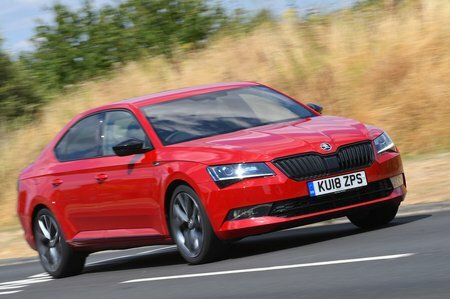 Skoda Superb 2.0 TDI CR SE L Executive 5dr 2019 Review | What Car? What Car? will save you at least £2,417, but our approved dealers could save you even more. Looks pricey against cheaper Superbs but is still good value in relation to the competition. Comes with a 9.2in infotainment screen, heated leather seats, 18in alloy wheels and a powered tailgate. This is our favourite engine in the Superb and is suitable for business users, thanks to its low CO2 emissions. It can sound a bit gruff when you accelerate hard but the combination of strong performance and low running costs compensate. Available with a manual or an automatic gearbox.